As with most museums, there are limited tactile opportunities at our venues. We wanted to explore new ways of interpreting the collections in a meaningful way for blind and partially sighted visitors, through 3D printing. The advantage of 3D printing is that the process produces both an exact replica of the shape of that individual object and a virtual 3D scan. However, 3D printing technology has advanced a great deal over the last few years, and so we would need some expertise to guide us in a potentially costly field. We producedthe 3D models in partnership with the Oxford Internet Institute at Oxford University, using a technique called photogrammetry. We talked to a number of local 3D printing companies and were able to work with one who helped us through the process of producing a 3D print. We undertook research with our focus group on the types of material that were used for each print. When printing, we had to balance the tactile sensation with the cost of the material, and the size of the print. To print one of the objects in a cheap plastic was £185, but to print in the more tactile and representative sandstone was just over £300. We were able to work with the printers to produce a model that was useful in its own right, but with which we could also test different materials with our audience. The result of the partnership involved innovative thinking around the creation of interpretation models, which have enabled visitors with sight loss to experience these items for the first time.The 3D models have been extremely popular with all visitors, not just those who are blind or partially sighted. Curatorial staff have also been excited about the models, as well as the relatively simple process by which they were produced. Developing these interpretation models has increased staff awareness of the needs of blind and partially sighted visitors, but also shown how techniques and tools used for this audience can be beneficial in a huge variety of different ways. We have since taken the models into an oncology unit for a session with a blind patient, as they can easily be wiped with sterile wipes without harming the surface. 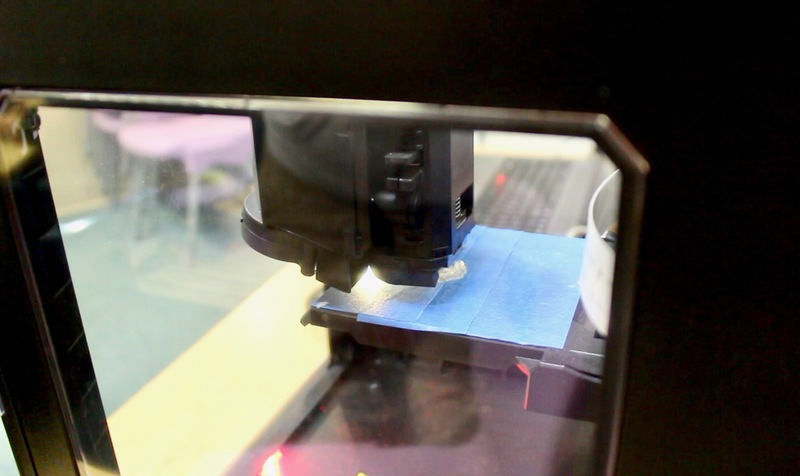 3D prints are not a replacement for handling the real thing – they are an interpretation tool. We use them alongside tactile images and audio description to provide meaningful interpretation. Find a friendly local 3D printer who can talk things through with you. We had no idea of the range of materials and techniques that were out there and the printers were able to help us navigate through this. Find out if there are any connections with researchers in universities you can make. There may be researchers who could use your collections as part of their projects. Think about the material as well as the object. We thought a lot about the tactile sensation of the materials, by treating each print differently and researching appropriate materials for each one.